Ice cream ice cream, you scream, we scream for ice cream! I can’t think of a better summer treat than ice cream. I am a classic chocolate and vanilla type of girl when it comes to ice cream. Since, I have plenty of banana’s in the freezer I decided to try something make some nice cream. Nice cream is a vegan, gluten free version of ice cream for those who are lactose or dairy intolerant, vegan, and/or health conscious. I have seen plenty of recipes for nice cream, this 6 ingredient chocolate coffee nice cream, from half baked harvest looks incredibly delicious. 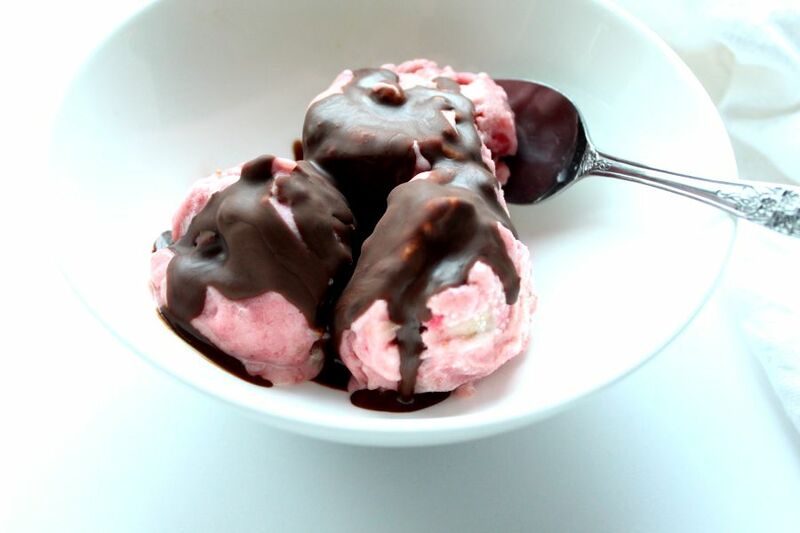 This dark chocolate raspberry nice cream is vegan, delicious and super easy to make. I made this dark chocolate raspberry nice cream with the raspberries we picked during our berry picking trip. I can’t believe how good this recipe turned out. Miss Q kept saying “this is so good” mama. Unlike, other ice creams this nice cream has” NO ADDED SUGAR”. 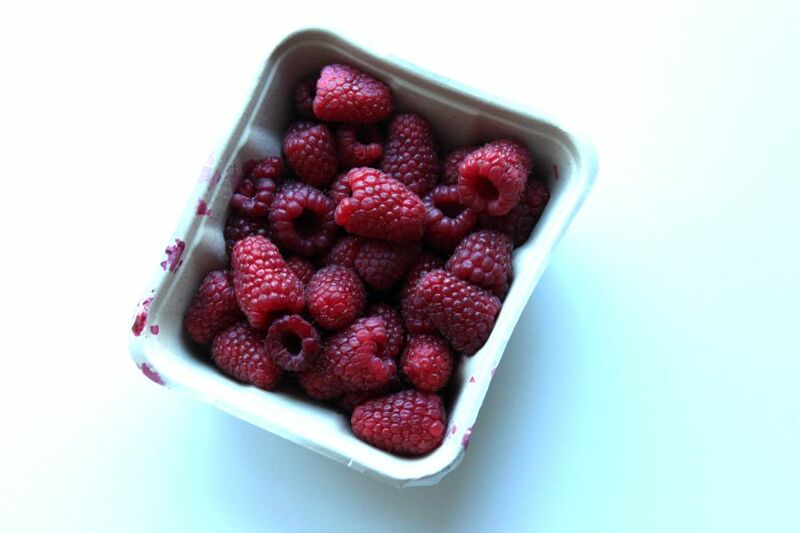 Trust me the natural flavour from the raspberries combined with banana’s gives it enough sweetness. For a little extra touch I added dark chocolate. Trust me you’ll never know its not the real deal, well ok maybe but its equally satisfying on a hot summer day. Place into a freezer safe container. Allow nice cream to sit on the counter for about 5-10 minutes to soften. Drizzle melted chocolate on top.